When Omar came home, his mom, sister and niece came for a visit. One of the things at the top of their (and my!) list was a luau. This is one of the ‘Hawaiian’ things I had been saving to be able to do with my husband. 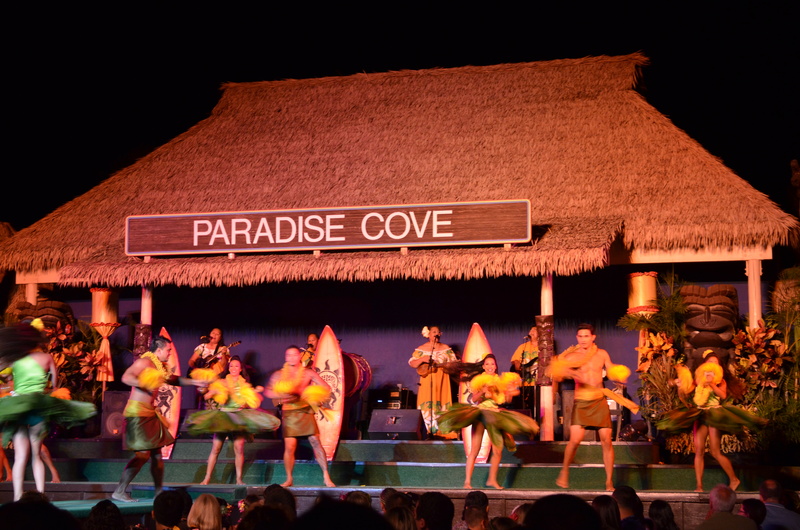 We chose Paradise Cove, it’s faaaaaar away from us (relatively speaking, maybe 1/2 hour of driving) we got our tickets from ITT (way cheaper if you are military). We upgraded to the mid-level package. I don’t know if it makes a huge difference besides where you sit, we did get good seats. However seating in each section depends on what time you get there so try to get there early. There are lots of activities to keep you busy until dinner starts so take your time and try to do them all if you can. 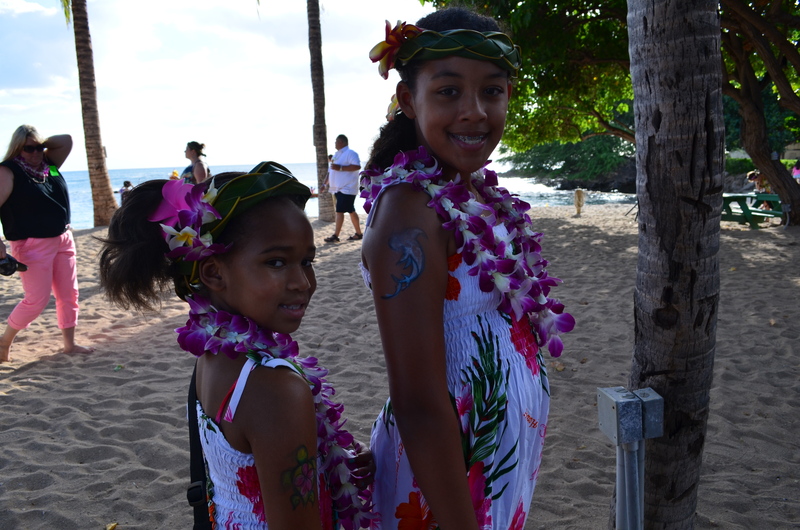 Here Mckenna and Leah are showing off their tattoos and haku leis. Of course I had to get in on the action. Also bring some money for tips. These guys were all awesome and super nice even with the hordes of tourists. 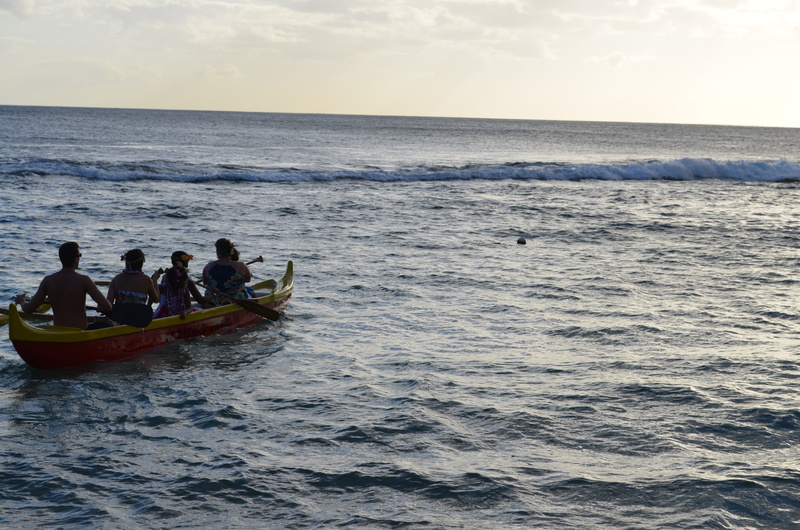 The girls and I went out for a ride in an outrigger canoe, no one else was game. Just a short lap around the cove but the girls had fun paddling and sticking their hands in the water. This guy climbed up this tree in no time and then dropped flowers down on the crowd. It was really pretty. Not sure if it is at all authentic but hey it looked cool. OH! The one thing that drove me NUTS was the MC calling all the people there ‘cousin’. I have NEVER heard people here refer to people like that. Brudda, sistah, yeah… cousin? Never! So of course it stuck in our heads and we use it all the time now. 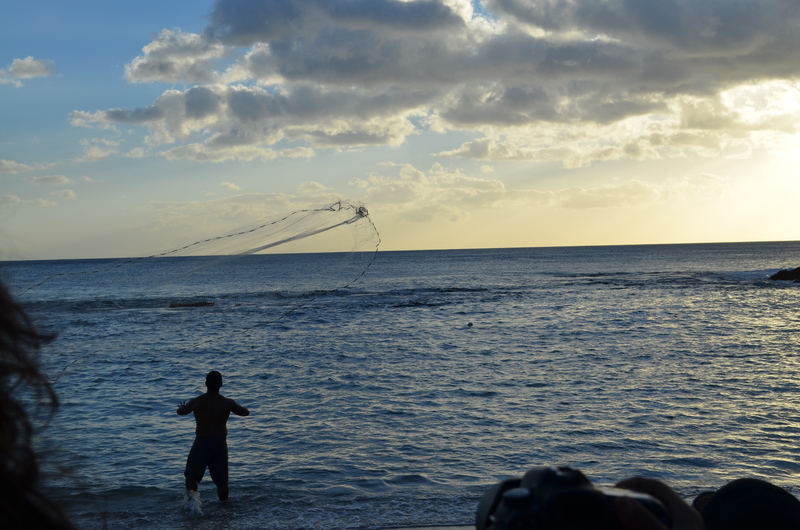 They also had a fishing demonstration which was pretty cool. There was another silly part with some guys they picked from the audience who had to wear hula skirts and dance goofy but it was pretty cheesy. 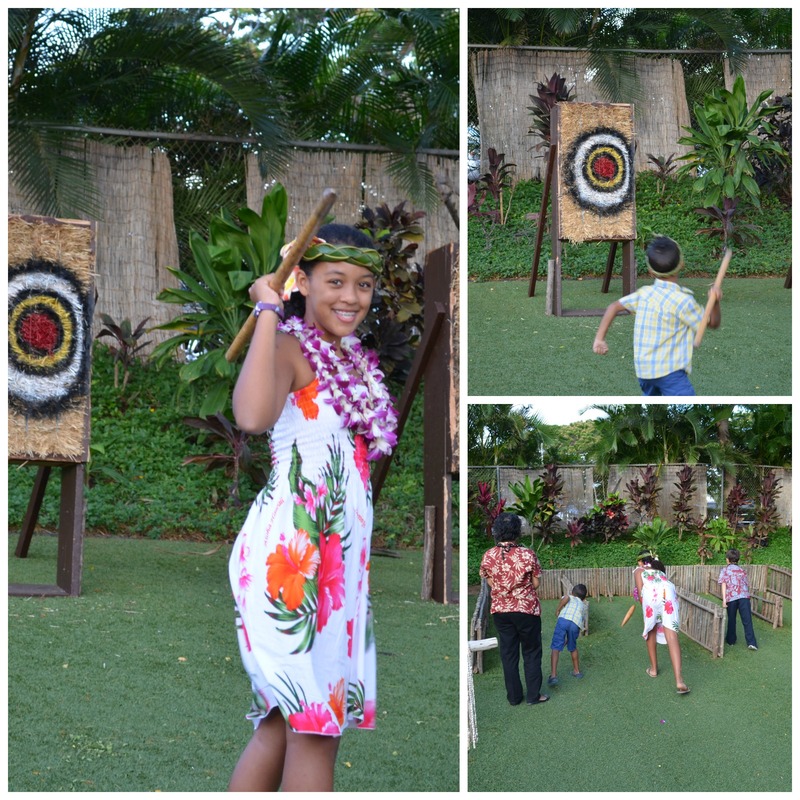 The kids all got to play some traditional Hawaiian games, I can’t remember all of the names. 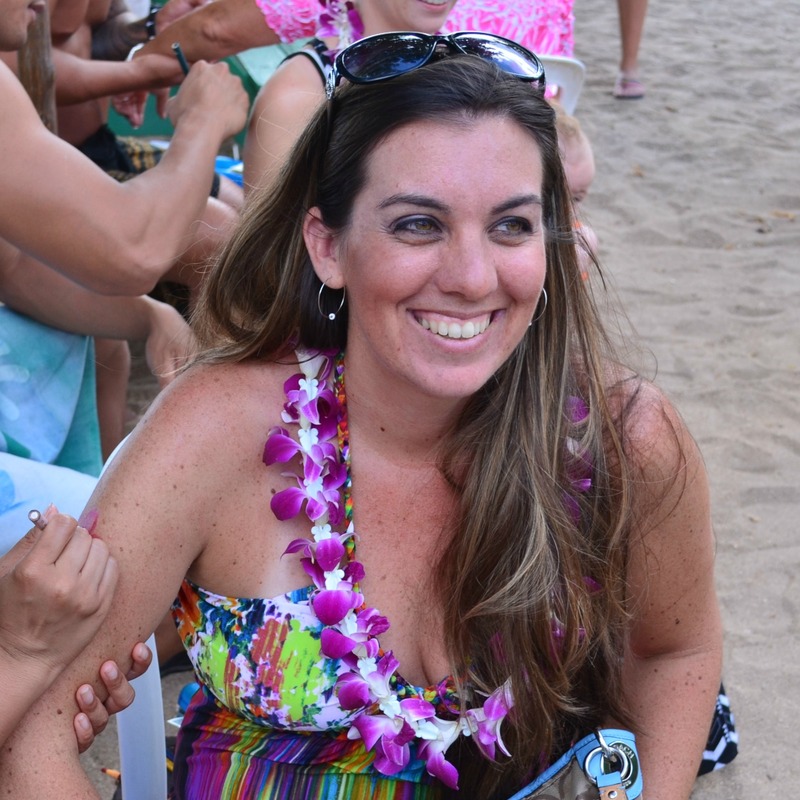 They got a shell lei for playing and ended up with a ton of leis. 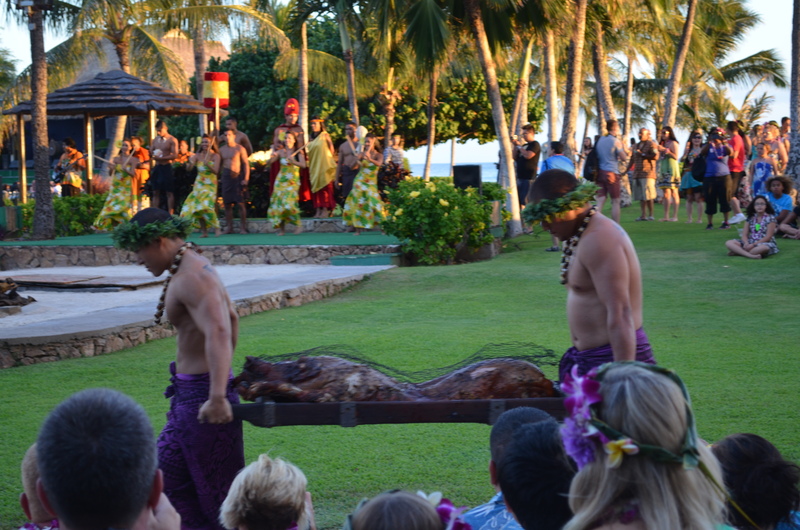 Next up was a little ceremony with royalty and a little hula before pulling the pig out of the imu. 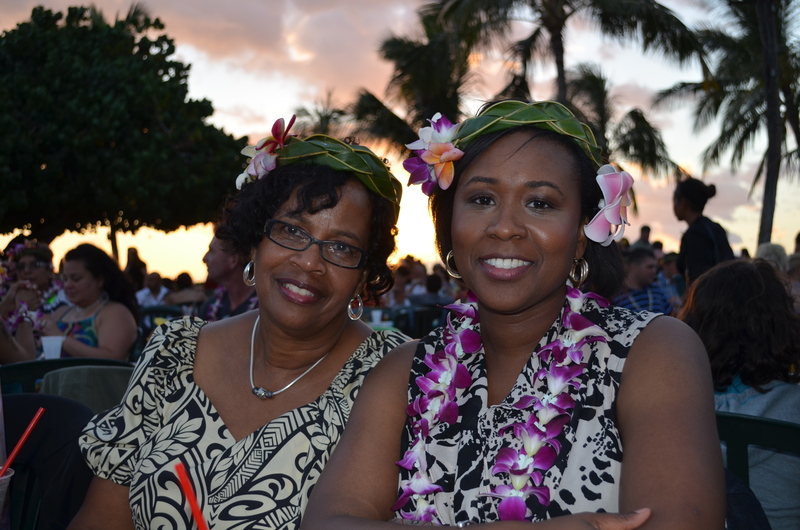 My mother-in-law and sister-in-law… Please notice my MIL’s beautiful muumuu she bought for the luau! Check out the swap meet, it was a great price and actually made IN Hawaii. After that we sat back down and were called table by table to go hit the buffet. The food was good and there was plenty of it. People went back for seconds and there was a dessert table as well. 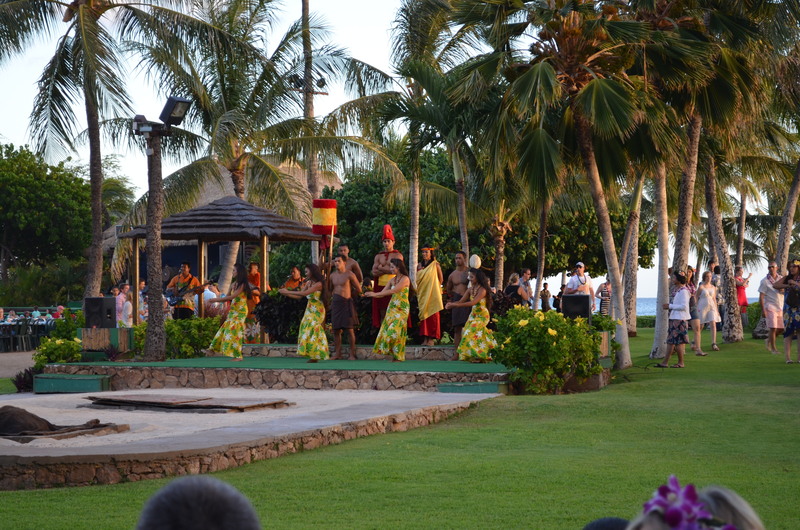 The kids got to go up on stage for a kids hula lesson… It was super cute. 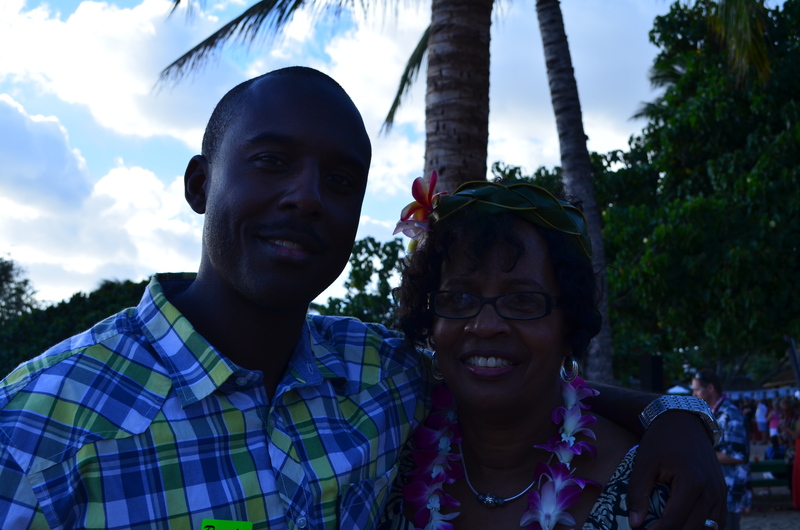 While this is the only luau we have been to we had a really good time and felt like it was worth it. 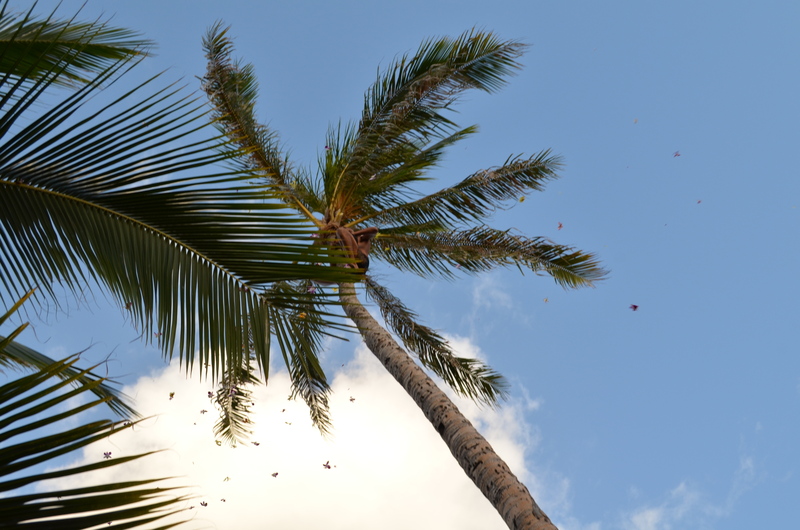 It’s pretty much something you have to do when you come to Hawaii. I’m game! Carol and Khani look great! Those pigs are HUGE! The kids look so great… YOU are so skinny and tan. What fun!